A shadowman keeps watch from his perch. 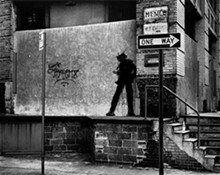 In the early 1980s, Manhattan's Lower East Side became the epicenter of the art world. Keith Haring, Jean-Michel Basquiat and Richard Hambleton crashed the gallery scene with their street-inspired graffiti, changing the course of modern art. 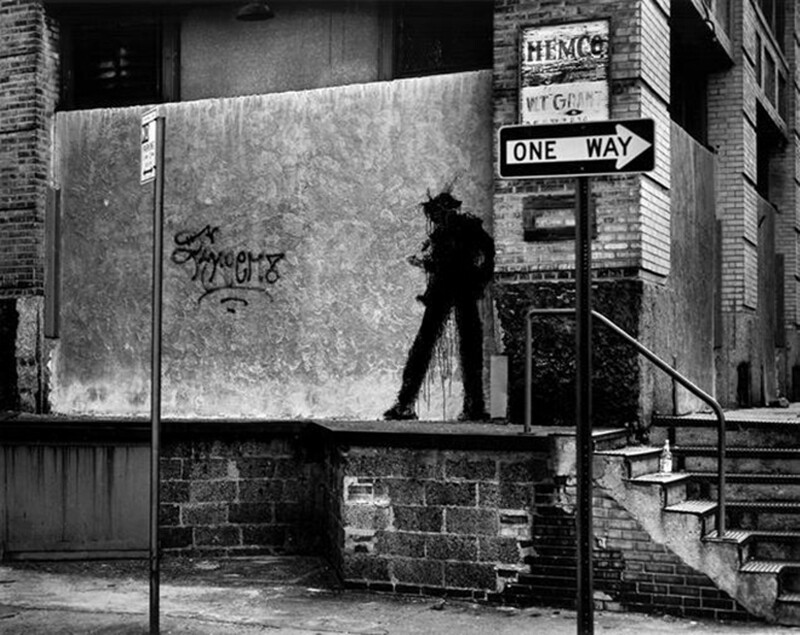 Both Haring and Basquiat died far too young (31 and 27, respectively), depriving the world of years of work — but what happened to Hambleton, whose stark silhouettes (dubbed "shadowmen") decorated the sides of New York buildings and both sides of the Berlin Wall? Filmmaker Oren Jacoby tracked down the artist, whose survival to see a second street art renaissance in the early 21st century is something of a miracle. Wracked by cancer and still dogged by addiction, Hambleton emerges from the past as one of his own youthful shadowmen, a creation of his own talent and almost destroyed by his excesses. Jacoby's documentary Shadowman uses archival footage of Hambleton's nocturnal painting missions from the '80s and contemporary deathbed interviews with him to revisit the career of a lost artist. Shadowman is presented by the Webster Film Series at 7:30 p.m. Friday through Sunday (January 12 to 14) at Webster University's Moore Auditorium (470 East Lockwood Avenue; www.webster.edu/film-series). Tickets are $5 to $7.